It’s hot as hades here, and these days we’re making daily trips to the pool. I love lounging around the pool on a hot, late summer afternoon. 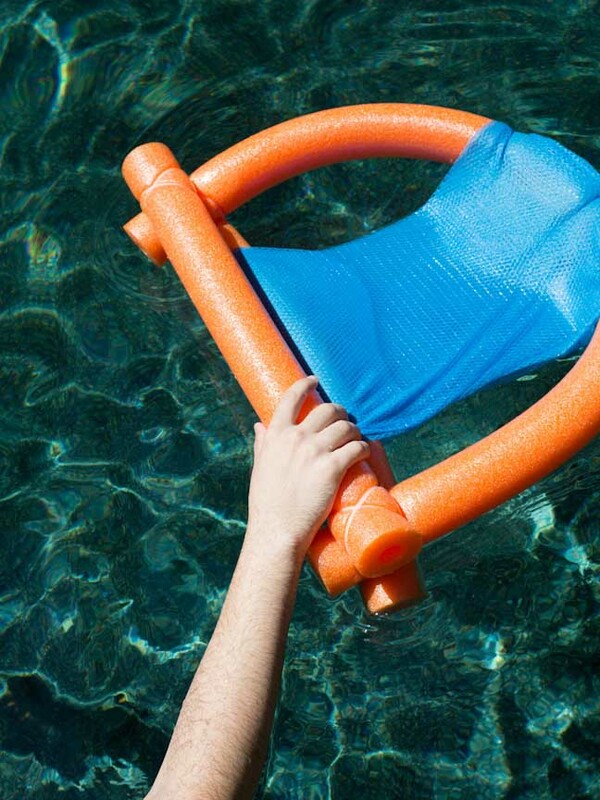 It’s crucial to have a good flotation device for proper pool lounging, though. Rather than spending big bucks on some floating chairs, I decided to make my own out of some dollar store goodies. 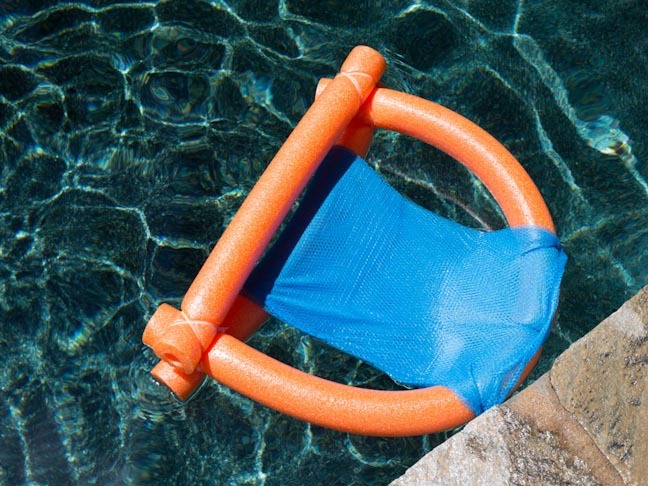 Follow along with this super simple DIY to have you and your kids floating in pool noodle lounge chairs in no time. 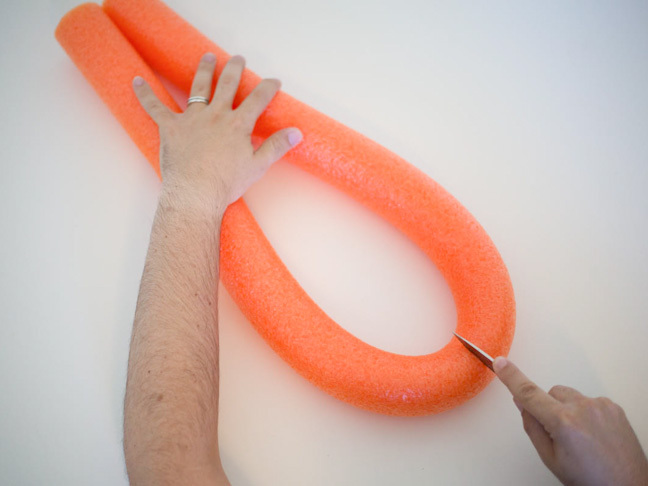 Step 1: Bend one pool noodle in half and cut to form two pieces of equal length. 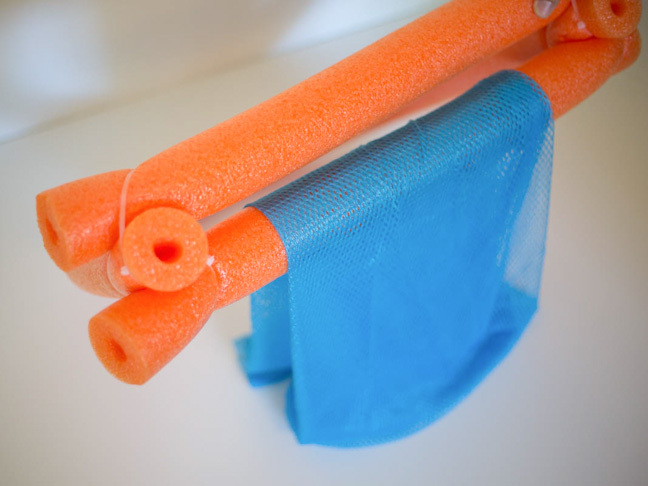 Step 2: Zip tie one end of your long pool noodle perpendicular to one end of a short pool noodle. 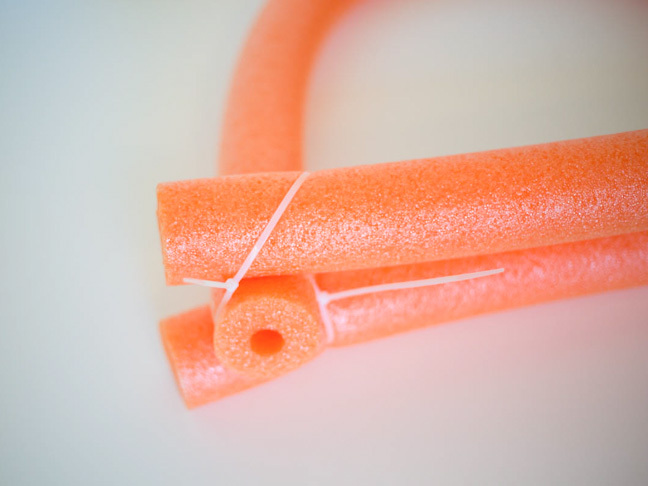 Step 3: Bend the long pool noodle and zip tie to the other end of the short pool noodle. 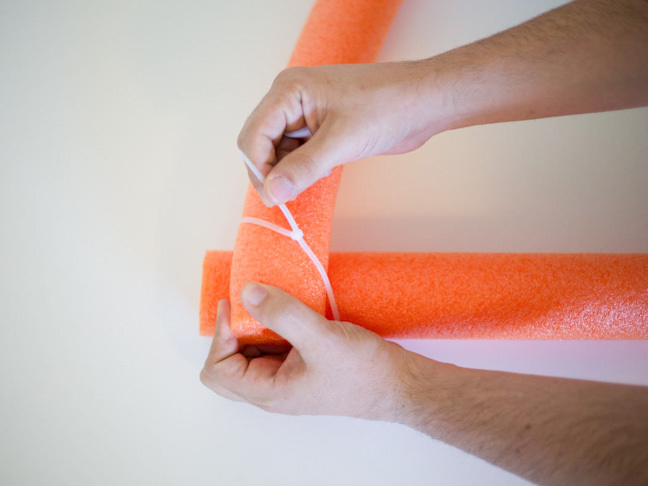 Step 4: Flip over and zip tie the other short pool noodle to the opposite side. Step 5: Pull all of your zip ties tight, and trim the excess plastic. Trim as close as you can to avoid any sharp points sticking out. 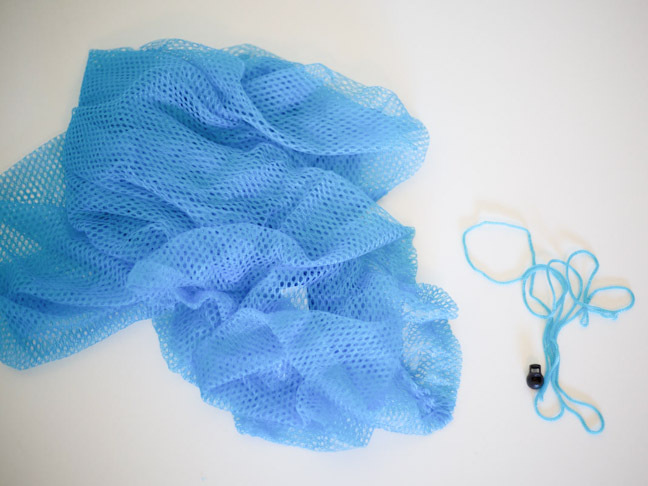 Step 6: Take your mesh laundry bag and remove the tie string. 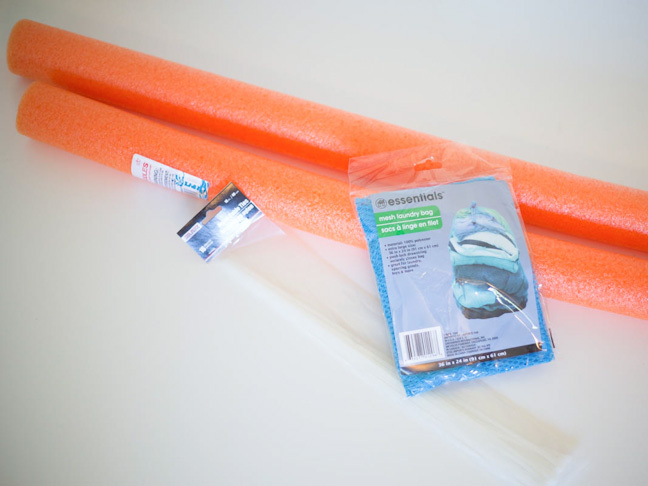 Step 7: Fold the mesh bag in half longways and drape over one of the short pool noodles. 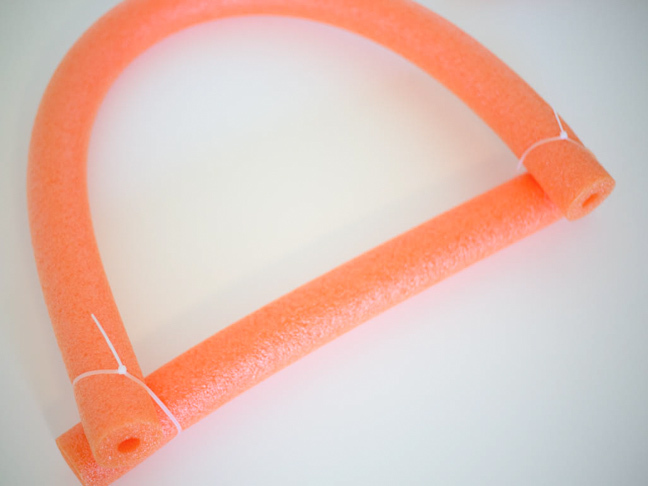 Step 8: String your zip ties through your mesh fabric and connect around the curved edge of the pool noodle. Pull tight and arrange so that the mesh can act as a seat on the chair. 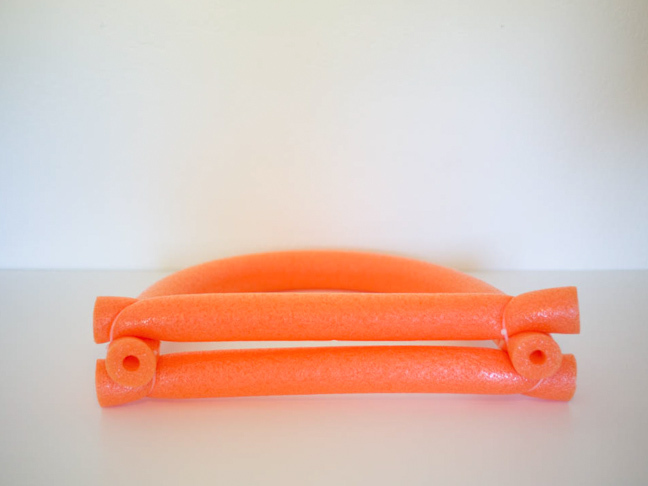 Step 9: Your pool noodle chair is complete! Head to the pool and sit on down in the water with it. Your legs should be draped over the short pool noodle section. 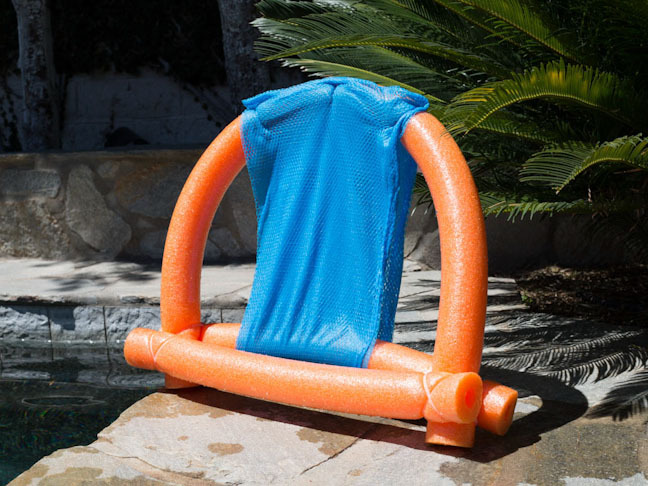 The chair will be completely underwater when you are seated in it, but it will keep you floating comfortably all day!